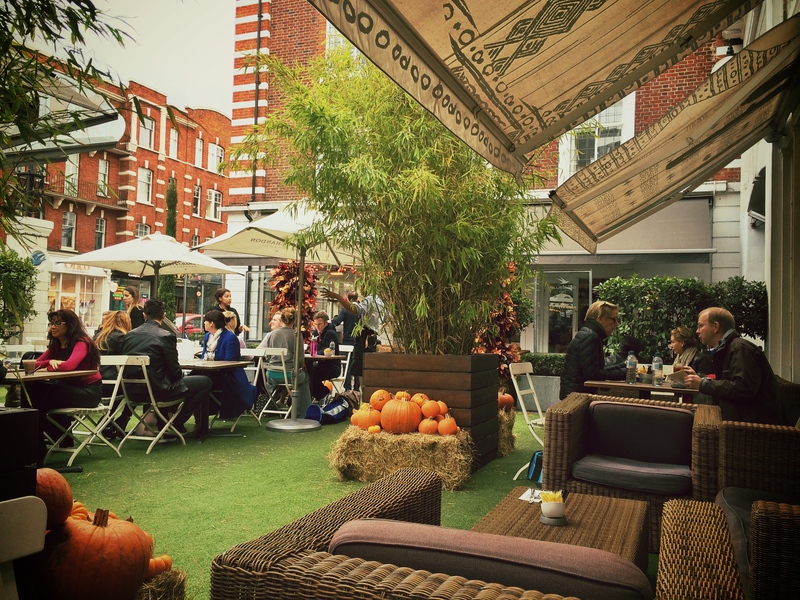 And then, just like that, it was Sunday and we were strolling the streets of Chelsea. Escaping the throngs of shoppers we slipped into Bluebird, savoring the chance to sit outside just a few days away from November. Among the pumpkins and haystacks we dug into huge heaps of fish and chips, swearing it was going to be the first and last time that week. 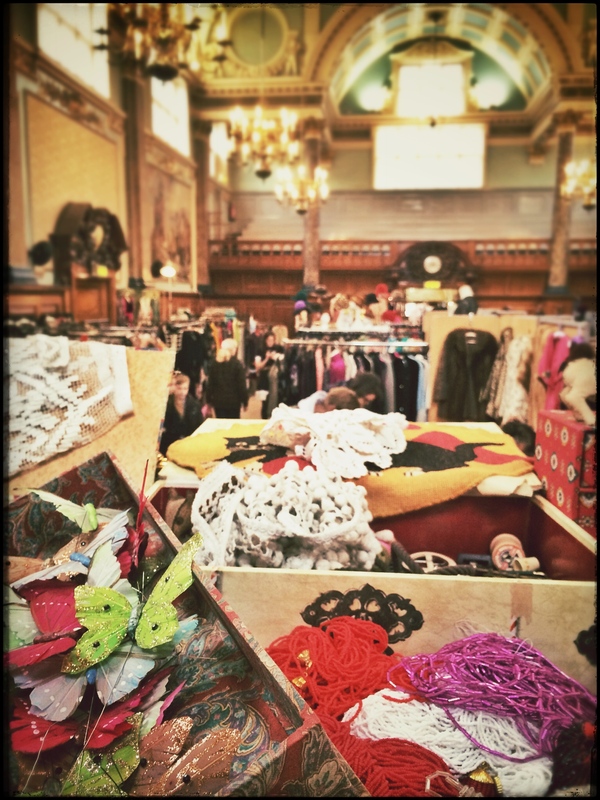 And then, just like that, we found ourselves in the old borough town hall and a vintage fashion fair. Oh, there was lace, crinoline, and plumes. 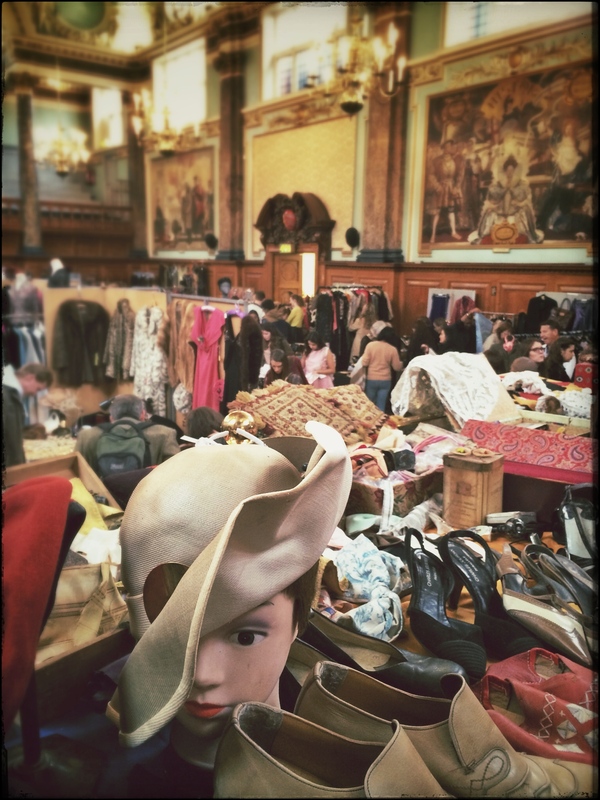 Heaps of hats and stacks of ballroom shoes. Dear me, the evening gowns from the turn of the century and flapper dresses from the roaring twenties! Categories: Lifestyle, Travel | Tags: United Kingdom | Permalink.